Greece has been the centre of the world’s attention, again, over the past couple of weeks. The June 17 elections and their fallout has attracted interest from around the globe and I was lucky enough to be asked to write some articles about all this for The Guardian and Businessweek. I provide links to these stories below in the hope they will act as an election diary, of sorts (I was never very good at keeping diaries). 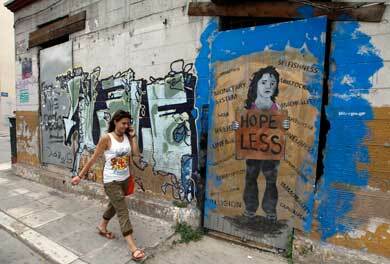 Ten tons of illegal election campaign posters were taken down in Athens over the past few days. The political scrap-heap is full, for now. Having been sworn in as Greece’s new prime minister on Wednesday, Antonis Samaras will hope that this will be his moment of redemption. From rising star to rebel and them from outcast to unlikely unifier, Samaras has covered the whole gamut of political roles. Now, he must fulfill the biggest of them all, at the most crucial of times. With him in charge, New Democracy veered all over the place like a driver nodding off at the steering wheel. He also managed the unique feat of alienating the party’s middle-ground voters while also losing support to the right. It’s safe to say that Samaras will have to up his game as prime minister. 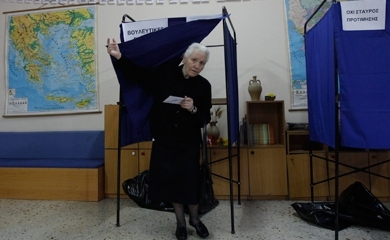 A victorious second place for SYRIZA? It’s not often that the losing party in an election can declare that “a new day is dawning.” Yet, SYRIZA leader Alexis Tsipras felt that his party’s phenomenal rise, which narrowly lacked the momentum to carry the leftists to first place in Sunday’s Greek elections, justified a feeling of optimism. “The future does not belong to the terrorised but those who bring hope,” he told supporters at a small post-election rally in central Athens on Sunday night. 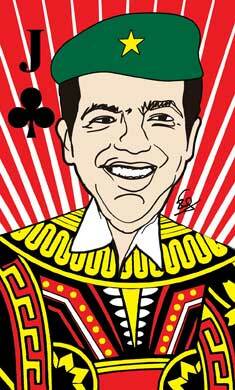 Tsipras is right to feel emboldened by his party’s upward trajectory from 4.6 percent in the 2009 election to almost 27 percent in yesterday’s vote but the immediate future belongs to those who pledge something much less ambitious than hope. Sunday’s result, which saw New Democracy’s conservatives gain 29.6 percent, provides a mandate for those who pledge plain old stability. Like a reality TV star who can’t remember applying to take part in the show, ordinary, respectable Greek people have had all their dirty laundry aired in public over the past couple of years. It’s unlikely that the citizens of any other nation on earth have undergone such intense scrutiny as the Greeks. 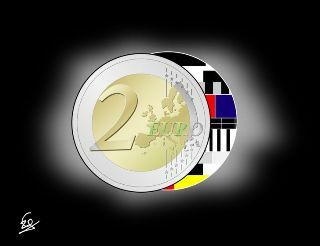 Everybody knows what the Greeks earn, what they pay in taxes, how they live, how much their wages have been reduced, how many hours they work, how much vacation time they have, what they spend their money on, how they vote and what their most personal fears are. Much of this is to be expected as a result if the mess that Greece got itself into and the unprecedented loan packages that it has received. But the line must be drawn somewhere. These loans come with extreme conditionality. Just as Greeks’ personal lives are pored over, so the bailouts dictate not just economic policy but a whole range of other policies down to the finest details. This is the quid pro quo of the loan deals: Greece receives money in return for certain fiscal measures and structural reforms. Nowhere does the agreement dictate how people should vote in a free election. 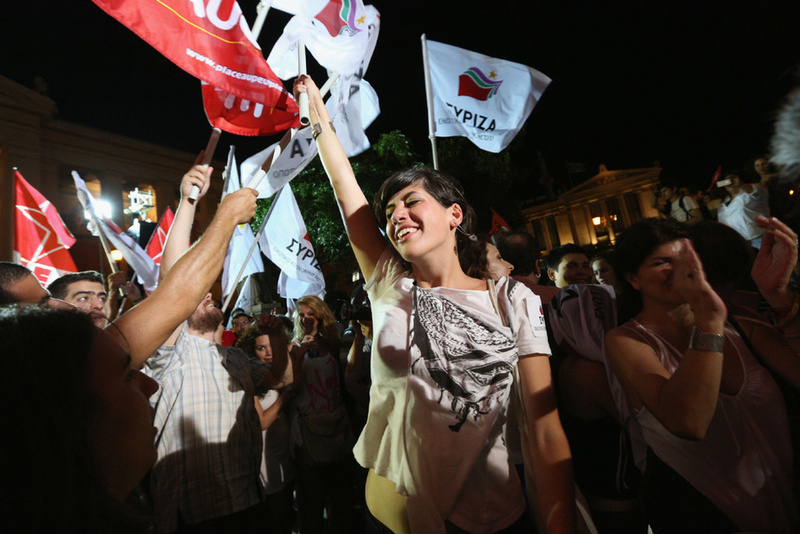 Are the numbers starting to add up for SYRIZA? Trying to predict how Greeks will vote on June 17 in the midst of the turmoil created by the country’s grueling economic crisis and the disorientating political transition is a thankless task, but the latest Public Issue poll for Kathimerini indicates we might get a clear result. More so than at any other point over the last few weeks, Public Issue suggests that SYRIZA has built a commanding — although not decisive or unassailable — lead over New Democracy. The survey shows a rise of 1.5 percent for the leftists since last week, so they now stand at 31.5 percent. 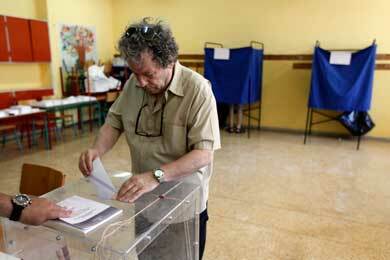 New Democracy suffered a marginal decline and sits at 25.5 percent. 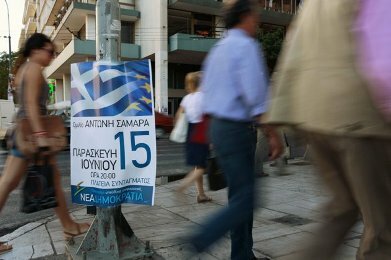 They are followed by a struggling PASOK on 13.5 percent, a resurgent Democratic Left (DIMAR) on 7.5 percent, a static Communist Party (KKE) on 5.5 percent, the declining Independent Greeks on 5.5 percent and a shrinking Chrysi Avgi (Golden Dawn) on 4.5 percent. The liberal alliance of Dimiourgia Xana (Recreate Greece) and Drasi falls short of entering Parliament with 2.5 percent.